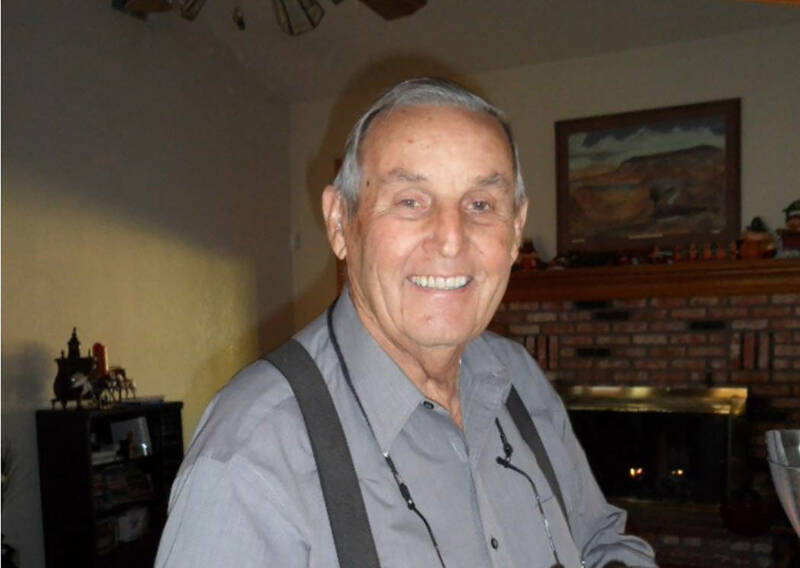 A longtime member of the Pahrump community, and one of the driving forces behind the development of the valley, Hollis Harris passed away earlier this month at age 87. He was well-known and well-loved by many and his son, Dan Harris, said his father will be greatly missed. 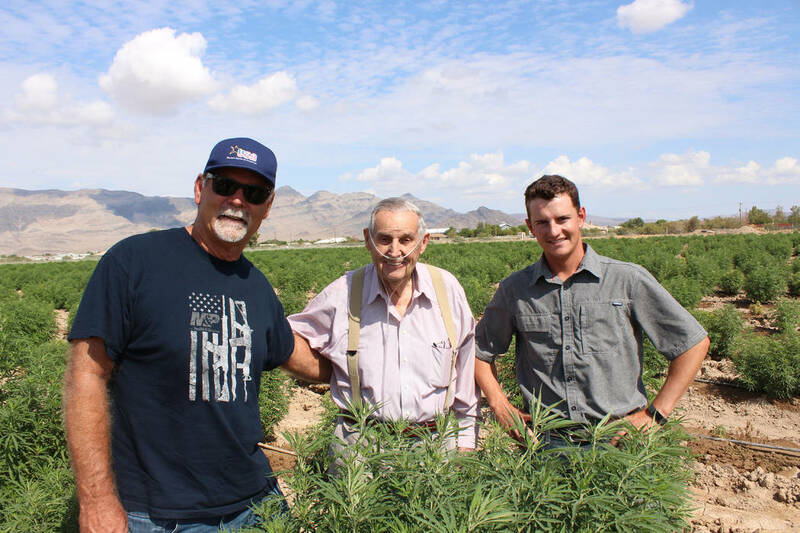 Jeffrey Meehan/Pahrump Valley Times Dan Harris, left and Hollis Harris, middle, stand at the family's 10-acre industrial hemp farm at Harris Farm and Blagg roads on July 25, 2017. Dan said his father, Hollis, was very pleased to have finally gotten back into his original passion, farming, and was able to enjoy it for a couple of years before passing away. Sharing some of Hollis’ history, Dan detailed that his father had a desire for farming and that was the dream that ultimately led his family to Pahrump, where they were to lay down deep roots over the following decades. That was in 1963 when the population of Pahrump was under 300, Dan stated. His father worked for that farming operation for several years, before branching out on his own. However, it turned out that farming was not quite as easy in Pahrump as it was in the San Joaquin Valley and as a result, Hollis found himself in an unexpected area of business, real estate. The industry Hollis fell into allowed him future opportunities as well as the chance to take care of his family, and he was able to aid the community as a whole, something Dan said was a true calling for his father. Dan said his father was never one to “toot his own horn” but he certainly made a large enough impact in the community that he leaves behind a vast legacy. A celebration of life will be held at 10 a.m. on Saturday, Feb. 2 at the Pahrump Community Church, 1061 E. Wilson Road in Pahrump. In lieu of flowers, donations in Hollis’ name can be made to Nathan Adelson Hospice. Hollis Harris died Jan. 19 at the age of 87.